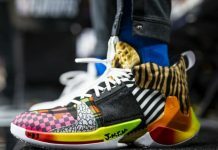 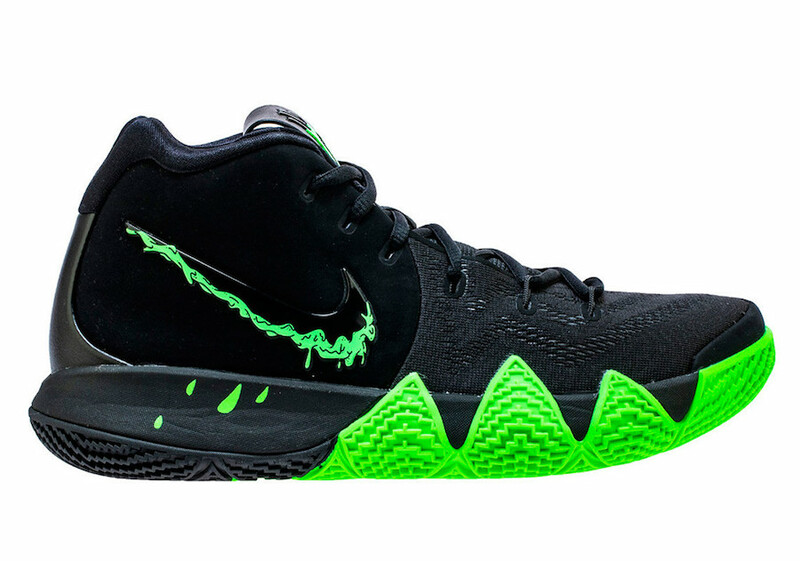 With Halloween and the end-of-the-year Holidays coming very soon, Nike has already started to debut their Holiday-Inspired releases, this Kyrie 4 following a Halloween theme and will be made available in October. 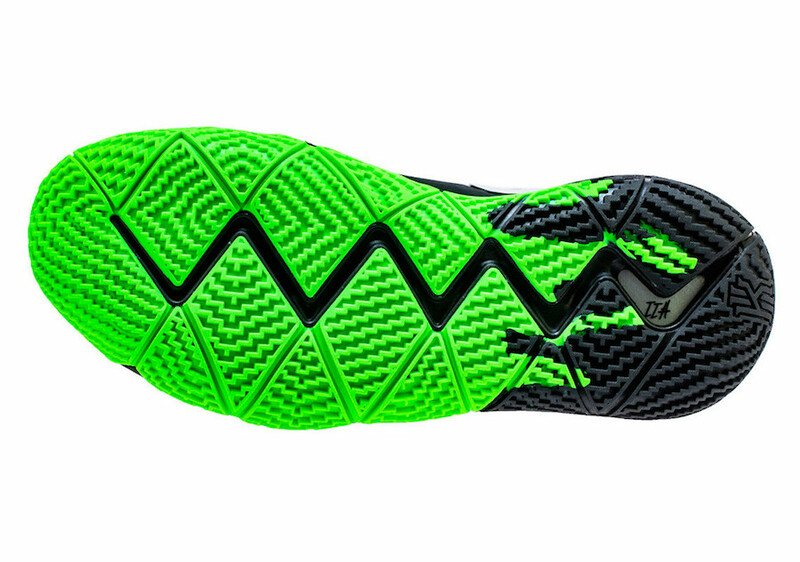 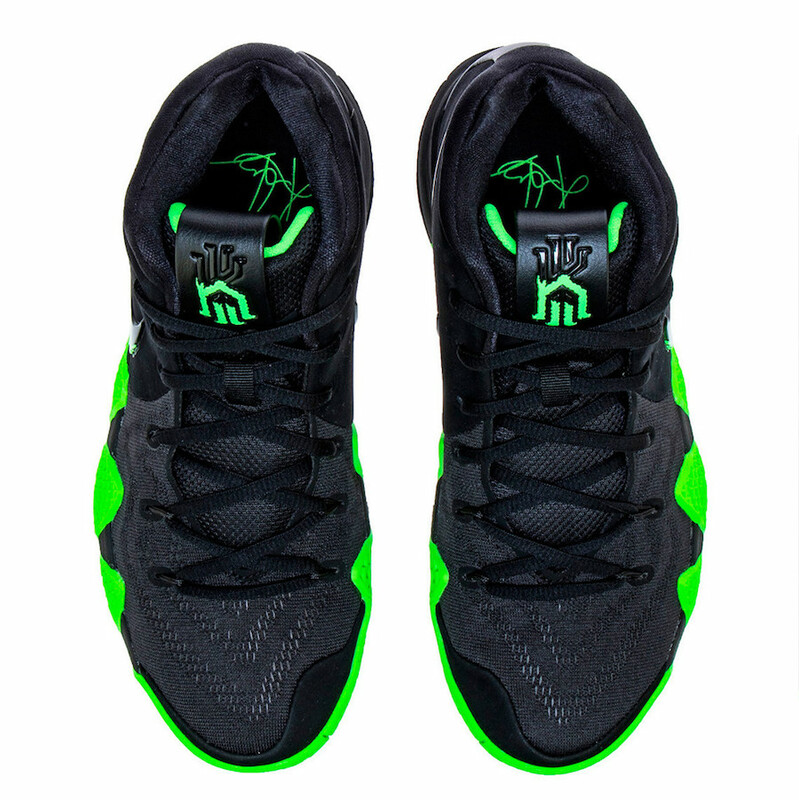 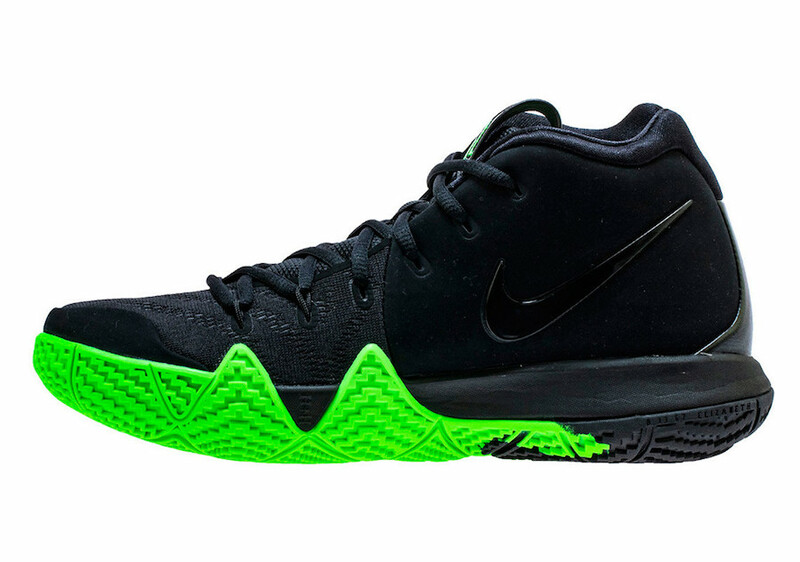 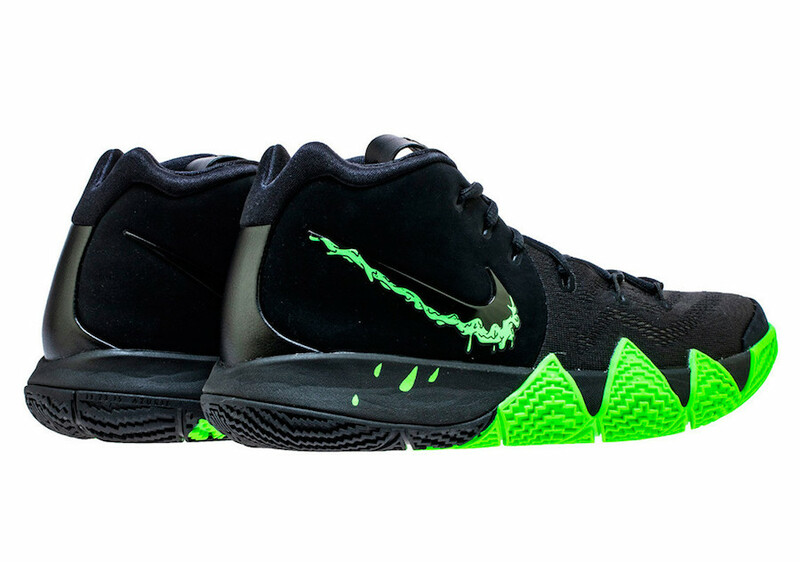 Featuring a Black-based upper and Rage Green accents throughout, this Nike Kyrie 4 gives off a spooky vibe with its Rage Green midsole and dripping slime Nike Swoosh. 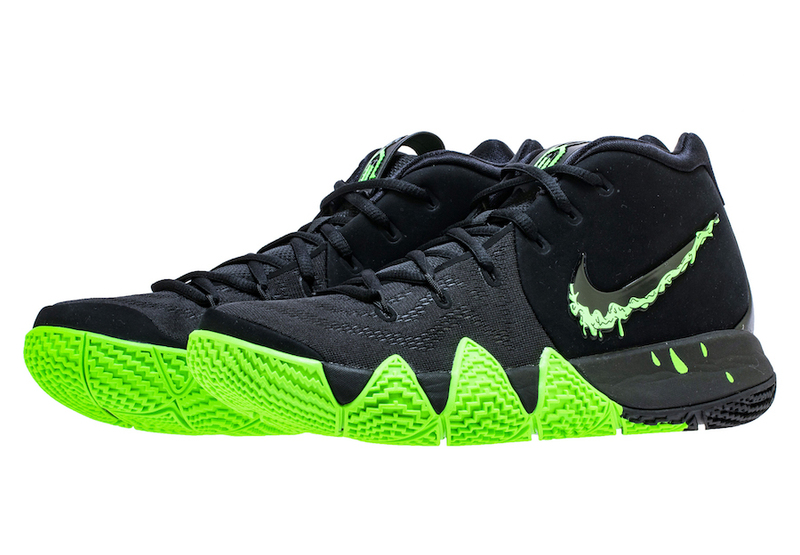 The Nike Kyrie 4 “Halloween” is set to release on October 13th at select Nike Basketball retailers and Nike.com with the retail price tag of $120 USD.